Wood siding has been in use for a long time and is extremely popular. While newer, more modern materials have become very fashionable recently because of the benefits they provide in terms of weathering and damage resistance, wood siding is still commonly found on homes all over the world. InterNACHI inspectors will frequently come across this type of exterior cladding during inspections. Inspectors and homeowners alike can benefit from knowing more about the different kinds of wood siding, its advantages and disadvantages, and some signs that problems may be occurring. hardboard. This is also sometimes called composition board. It is manufactured wood siding made of compressed wood fiberboard with synthetic adhesive, often pre-finished and treated with EPA-approved preservatives to help resist insect damage and decay. It is lightweight and less expensive than solid wood siding, and can be easier to work with because it lacks knotholes. Wood is generally considered the most aesthetically desirable form of exterior cladding, and may increase the resale value of a home. A historic building with properly maintained wood siding in good condition is generally considered more valuable than a similar building whose siding is of a modern or synthetic material. A large variety of styles and types of wood is available to suit different tastes. Wood siding can be painted and stained virtually any color. Oil-based stain or paint is typically applied to the rough-sawn side, which will readily absorb the coating. In many instances, wood siding can be repaired more easily than other forms of exterior cladding. A single damaged board of siding can usually be replaced and repainted. Wood siding is generally considered the most environmentally friendly option, as opposed to other materials, such as brick veneer. According to Virginia’s Sustainable Forestry Initiative Program, brick veneer production requires 22 times the amount of energy needed to produce wood siding. Wood is also a renewable and biodegradable resource. Although wood siding may be easier to repair than other materials, it requires more maintenance in general, and repainting or resealing must be done every few years. Unlike siding made from synthetic materials, when not properly maintained, wood is susceptible to rot, which can lead to structural issues if not addressed in a timely manner. While termite problems can occur with other materials, wood siding is more susceptible to direct attack from wood-destroying pests. The use of treatments and preservatives, as well as the choice of wood, can help prevent termite problems. The cost of installing wood siding can be prohibitive, as it is one of the most expensive types of exterior cladding. The average price for a 1,250-square-foot installation may range from $6,500 to $7,500. A visual inspection of the siding includes reporting on its general condition. Defects may include damage, cupping, curling, cracking, splitting, and other problems that could affect the performance and lifespan of the siding. Improperly applied paint is a common problem, which can cause blistering, peeling, cracking and fading. Paint problems can also be caused by interior moisture passing through the wall and lifting the paint. Chalking of the paint can occur over time. It can gradually break down to the point that it will lift off as a powdery substance when touched. This indicates that repainting is necessary. Oil-based stain can deteriorate over time due to exposure to UV rays, excess moisture, or physical damage, or it may not have been properly applied in the first place. Stain may need to be touched up or re-applied. Vegetation that holds moisture or water up against the siding, such as vines and ivy, can be detrimental to the condition of the siding over time, and eventually lead to water or moisture damage. Natural wood siding should always be installed over building paper or housewrap in order to provide adequate protection from water intrusion. Depending on the type of siding installed, the nails may be exposed or hidden. Proper use and installation of the correct nails is very important with wood siding. Generally, siding and box nails are used for face nailing. Casing nails are used for blind nailing. Nails should be corrosion-resistant. Nails should also be rust-proof to avoid discoloration. Stainless steel nails are the best choice. Buckling and cracking can be a concern, especially with hardboard siding. The boards or planks should be attached with enough room left for natural expansion and contraction of the wood, which occurs across the grain. If the moisture content of the wood siding is too high and external temperatures are right, rotting will ensue. wood installed close to or below grade. Wood siding in its different forms is a common exterior cladding material that inspectors will encounter frequently. 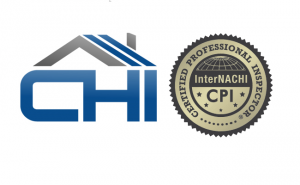 InterNACHI inspectors can benefit from knowing more about the different types used, as well as some typical problems associated with it.